This is a solution of psychology assignment sample that describe about labouratory report, research report etc. To illustrate the theory’s premise, why not try the following exercise on yourself. Step 1: Allow yourself 30 seconds to look at the list below. For each of the words printed, count the number of vowels in the word. UMBRELLA, ORCHESTRA, YACHT, DIAMOND, UNIVERSITY, MACARONI, EYEGLASSES, GARDEN, UNDERWEAR, NEWSPAPER, ALCOHOL, BOUQUET. Step 2: Now write down as many of the words as you can without looking at the list in 20 seconds. Step 3: To displace the previous task, spend 30 seconds writing down your name, address and phone number. Step 4: Now allow yourself 30 seconds to look at the list below. For each of the words printed below, rate the usefulness (on a scale of 1-5) of the item to you, if you were stranded on a desert island. MICROSCOPE, CAMOUFLAGE, POLLUTION, RESTAURANT, INSECT, ELEPHANT, SULPHUR, LEMONADE, MOSQUITO, BOTTLE. Step 5: Now write down as many of the words from step 4 as you can without looking at the list in 20 Seconds. If the illustration has worked, you should have been able to recall more words from the second list than the first due to the semantic processing of the words. For example, in thinking about the usefulness of each item, you were required to think about and possibly visualize using the item, whereas when you were only thinking about the vowels, you were only thinking very superficially about the words. The empirical data presented below refers to the number of words correctly recalled by the participants in each condition. You are required to use the Statistical Package for the Social Sciences (SPSS) to conduct a t-test to find out if the difference between the conditions is significant. It is up to you to decide what type of t- test is required and to work out your independent and dependent variables. Your lecturer can assist you with this. Writing a research report is an important part of the research process - after all, results that are not communicated to the appropriate groups are of little value. A report is a piece of scientific literature with the objective of describing and discussing research in a style that is precise, concise, and clearly written. Unnecessary jargon should be avoided. You should not confuse length with quality. The report should also read as a whole. The sections should be fully integrated and should relate closely to one another. Your report should be centered around your data - your research findings. Earlier sections lead up to these, provide a context and rationale, and explain research methodology. The research should be described in such a way that the work could be replicated by anyone having access to similar materials, participants and conditions. Later sections evaluate findings, and develop theoretical and practical implications. Finally, in your reference section you should provide precise information on books and papers consulted. Nearly all psychological reports of academic intent are written in a standard format, and there are a number of basic conventions regarding layout and style. It should be kept in mind, however, that for other purposes - such as writing a technical report, an evaluation, or writing for a general audience - other formats may be more appropriate. You should use this standard format for writing your lab report (as per the Burton, 2010) text. Title: The title should be concise but informative, and should identify the main research variables. For example, "The association between work stress and smoking amongst health professionals" is a better title than "Health Professionals and smoking"; "Individual differences in ease of perception of embedded figures" is a better title than "Perceptual differences between people". Abstract: The abstract should be a short summary of no more than 100 to 150 words in length. The abstract should make sense when read separately from the rest of the report. It should contain a description of the main factors that were studied, the methods that were employed, the main results that were obtained, the conclusions that were drawn, and the implications of the findings. It is highly desirable to state the number and kind of participants, the type of research design, and if appropriate the significance levels of any statistical tests employed. The abstract is the opening section of a research report, but should be the last section to be written. Introduction: The introduction describes the background to your research project. It should begin by describing the wider context of the project, by reference to two or three other relevant research projects. During the introduction you should develop the rationale behind your research project and end up with a statement of the aim of your study. If appropriate, the hypotheses to be tested should be specifically stated. The introduction itself is not titled “introduction” but rather the title of the article. Participants: Those details of participants that are relevant to the study should be given. This will include number of participants, the recruitment process, and details of refusals or non-returns. It should also include characteristics of the sample such as gender, age, and as appropriate characteristics such as educational status, occupation, native language, etc. Procedure: A precise description of the procedure should be given, such that readers are given sufficient detail so that they could replicate the study. This should be a short summary of what you did during the laboratory session. Results: In this section, all relevant data and the analysis of these data should be presented and summarized. All relevant data should be presented in the text, and you are also required to draw one graph or bar chart illustrating your results, which is labeled as a figure (as per APA guidelines). This figure should be clearly labeled using APA format. Where results are illustrated, tables and figures should be referred to in the text. The material should be presented in the most succinct form, and discussion of the results should be kept to a minimum. You should explain why you have analyzed your data in the way you have, and show the results of appropriate statistical calculations (but put the raw data in the Appendix, if appropriate). It is also helpful to the reader if you provide a short summary statement of your main findings. Discussion: The purpose of this section is to interpret the results of your study. You should discuss your results in relation to your original research questions, referring whenever possible to your actual data. Where appropriate, you should discuss your results in relation to earlier findings, general principles, concepts and theoretical issues. However, keep the focus on your results. Discuss any shortcomings of your study along with suggested improvements, and indicate areas that might justify further research. Discuss the implications of your findings. If appropriate, discuss any relevant ethical issues. References: All references included in the report should be listed in APA style. Appendix: The Appendix should include raw data, test materials, and instruments such as questionnaires, etc. Here, for example, you would include your word list and the raw data tables that were given to you. Have you summarized what the study is about? Have you stated the prediction? Have you described the essentials of the method? Have you given some details about the participants and where the research was conducted? What d id y o u discovers and what is the importance of this? Is the abstract between 100 -150 words? Is the introduction concise and specific to the topic studied? Ha v e you described two or three relevant studies? Does the introduction conclude with the aim soft study or experiment a l hypotheses? Have you sub divided t his section in to design, participants, apparatus and procedure? Have you stated the number of participants, including numbers of males and females? Have you described the participants, the population from which t hey were drawn and their motivation for taking part? Have you described all materials used during the study / experiment? Results were collated in this section) . Have you provided a summary table of the results which is clearly t it led? Have you presented a graph of the results which is clearly titled? Have you in clouded any calculations in an appendix? Have you clearly stated the main results in writing? Have you stated whether the results support the hypotheses? Have you stated what the results mean in relation to the hypotheses? Did you explain how you obtained such results? Have you compared your results with those of other studies (especially the studies mentioned in the introduction)? What was right or wrong with the design and methods? Are all criticisms presented with detailed explanation / justification? How would you improve the study if you were to do it again? Have you in clouded any ideas for follow up studies? Can the findings be applied to real -life situations especially t hose relevant to a health professional? Have you included all authors cited in the text? Have you presented the references in alphabetical order? Have you followed the guidelines for referencing ? Have you included any raw material used during the study? Have you labeled the append ix? Have you checked your spelling, grammar and word count? Have you started each section on a new page, included page numbers and made sure no page surmising? Have you put your name, lecturer and the subject name and cod e on the front of the report? Have you presented your report in a way that makes it easy to mark ( i.e., don’t put each page into a separate plastic sheet )? A cognitive explanation for why recognizing faces of people from ethnic groups other than one’s own is notoriously more challenging. What is automatic processing and why does it occur? Explain why recall is enhanced when environmental context matches that in which the information was learnt. Explain the effect that providing examples can have on creativity. The purpose of presenting orally in Cognitive Psychology theory is to share information with your peers about a topic you have researched. By presenting orally, you demonstrate not only that you understand the material you are presenting but that you can coherently engage an audience in their learning of something new. PowerPoint slides are most effective as a visual aid only, where you elaborate on the slide by giving further information verbally. Try not to overload your slides with too much text or information. Images are best where you can include them and where text must be included, try to provide bullet points rather than full sentences. Remember to address your audience, check that they are keeping up with you once in a while and try to make eye contact as much as you can. Since your audience are your peers, you can presume that their capacity for understanding is the same level as yours would be. It may be that they have skimmed over your topic in their course reading but perhaps not engaged with it quite as much as you have. Therefore, think about what technical terms you might need to define in the beginning of your talk and the basic background material your audience may need to understand the more in-depth issues you will present later on. Rehearse what you have to say to friends or family to ensure you fully understand your own material first. The audience will be given a short window in which they can ask you questions immediately after your talk. It might be helpful for you to anticipate some of those questions and to think about areas where your audience may require further information from you. Bring your PowerPoint slides along on a USB stick on the day of your talk and for backup you can also email them to your lecturer. The slides will go up on the projector for your audience to view. Remember to move your slides along as you are speaking. You can always ask a friend from the class to do this part for you if you think you’ll be too distracted to do both! 1. Why do we need attention? Our environment has more information that we can process so we need attention because we have a limited capacity to process all the information around us. Attention is needed to select the important items in the environment for further processing while ignoring the items of less importance. 2. How does a participant’s recall output strategy affect their serial position demonstration results? During recall, if a participant reports the last few items on the list first they will usually have a large regency effect. If a participant reports the first few items on the list first they will usually have a large primacy effect. If a participant reports the middle list items first they will usually show better performance on those items than they would if they used a different output strategy. 3. 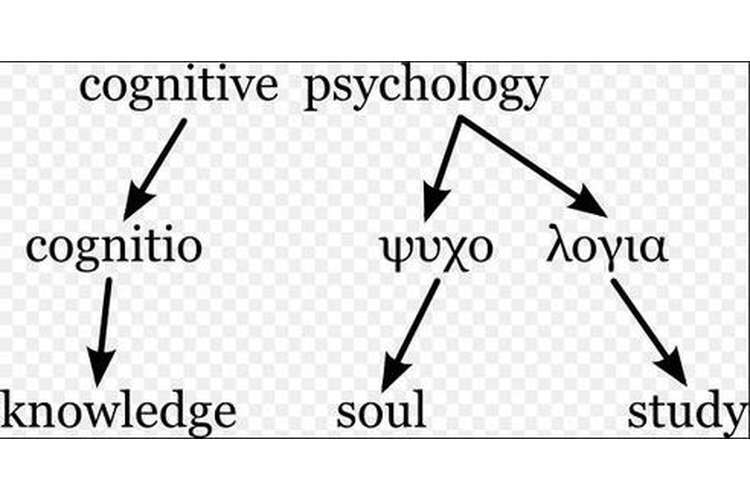 What is a mental lexicon? 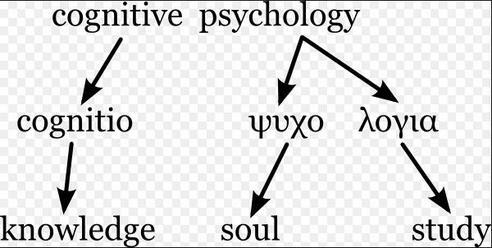 A mental lexicon is a mental store that contains information about language. It holds information about a word’s part of speech, how it is related to other words, and what it means.